Office Space - Boxborough, Massachusetts. 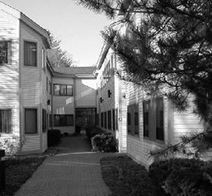 Office space situated in Boxborough close to Route 111 and to the Turnpike with nearby access to plenty of hotels. This facility is well managed and offers offices that are fully furnished equipped with the latest technology. Conference rooms also available with many support services and safe and secure 24hr access.